Have you heard of Huel? 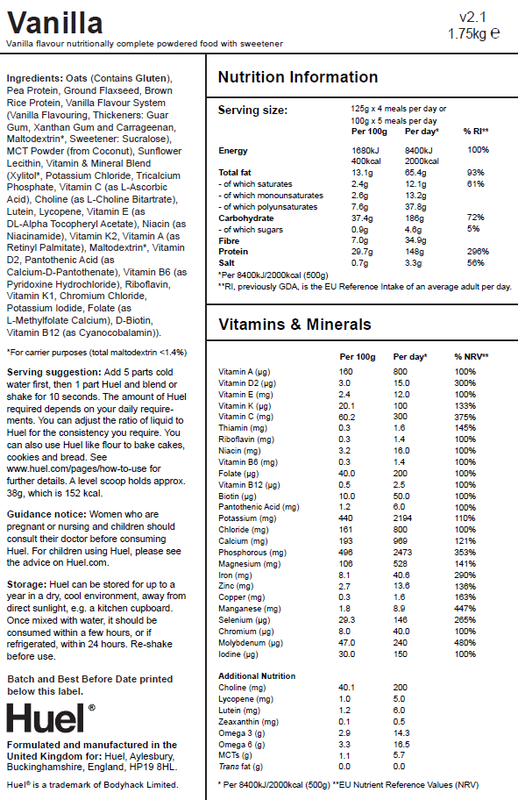 Huel is a powdered food supplement that gives you everything that your body needs. It's not your ordinary protein shake, or slimmers shake, its a shake instead of food. Is this a good thing? The company Huel wanted to design a food supplement that can help many people around the world and in the future. I was very dubious of it at first, because I'm a firm believer of, if you can eat food then eat it. I also worry about how our body changes if we start drinking instead of eating as surely it must effect how our body works to digest foods. However, after using it and reading more into it, I can see that Huel has a lot of potential for many countries and certainly in the future. I have personally described it as spacefood - as its a powdered form of everything you need to survive with very little materials needed. Infact all you need is water and a shaker. Huel is only sold in two flavours at present. Unflavoured & Unsweetened and Vanilla. The Vanilla is a very subtle taste though. They have designed it this way so that we stop craving foods. All our lives we have been given foods that our bodies don't actually need, but then come to get to know, and after a while of not having it our body starts to crave it, although, we still don't actually need it. I now have a very sweet tooth, and I don't think that is ever going to change now. 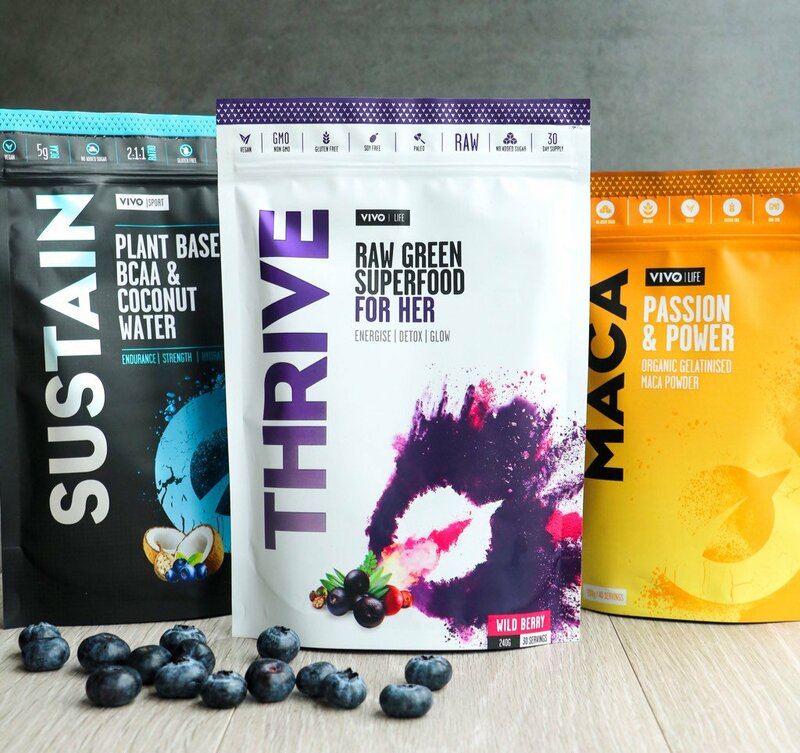 *UPDATE: Huel now have flavour packs that you can buy with your Hiel, so you can have whatever flavour you like !! Huel has only 7 ingredients: Oats, Rice Protein, Pea Protein, Sunflower Seeds, Flaxseed & Coconut and contains all your vitamins, minerals, fats, proteins and carbohydrates. It's almost a miracle powder. So in total it contains 148g of protein and 35g fibre. The other reason that Julia Hearn and James Collier BSc created this meal replacement was because if the world keeps going as it is with regards to population growth, we will get to a point where food could potentially become more limited, which seems strange to think that, but, it is already very limited in some parts of the world. 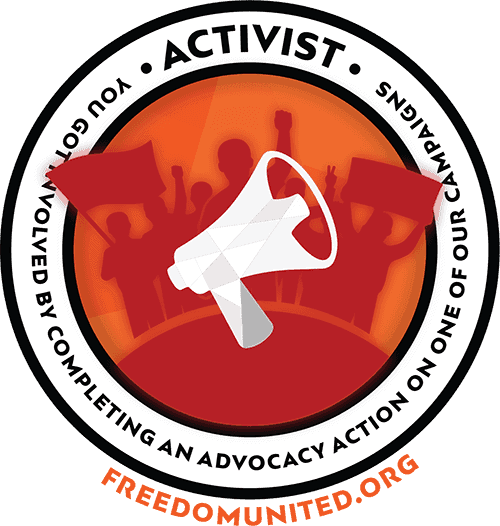 People are still starving to death because they can't get the foods and nutrition that they need. As a nation we are trying our hardest not to waste food and to try and find ways of making foods more sustainable. 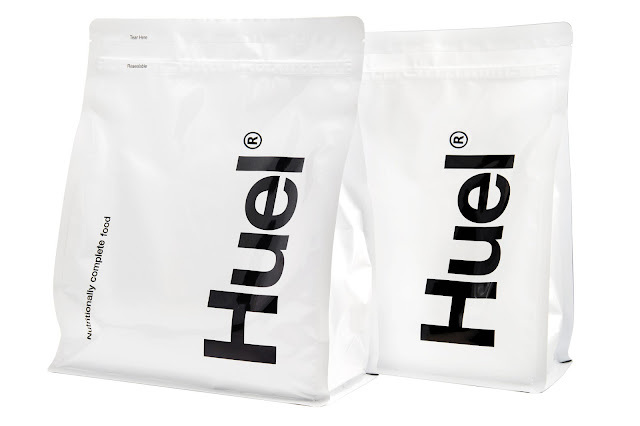 Huel is suitable for Vegetarians and Vegans (so long as you mix it water) and this year they also now have gluten free versions. We do need to reduce our meat intake for the worlds benefit and we also need to reduce in unhealthy and fatty foods. What we eat effects our bodies and the world so much, it's actually very scary reading about it. So this is where Huel comes into it. Huel will cost you £45 for 14,000 calories, which is 28 meals at 500 calories each (you can reduce this to suit you, this is just one of their guides) which in turn only costs £1.61 per meal. Cheap ey !!!!! Just think what you spend on your lunch every day in comparision to drinking Huel!! Its quite a scary thought. We waste a lot of money on food..... yes we eat it and we enjoy it, but most of it is just for pure indulgence. If you subscribe to Huel you can bring the cost of your 'meal' to ONLY £1.34. Yep....thats it !!! So, this then made me think of reasons why there are actually lots of people who could benefit from this. There are charities buying food items to send abroad to starving people. Well......why don't they buy Huel which will last a lot longer, can be stored easily, doesn't spoil as it can be stored for 12 months, and doesn't need any form of electricity or fuels to make it. 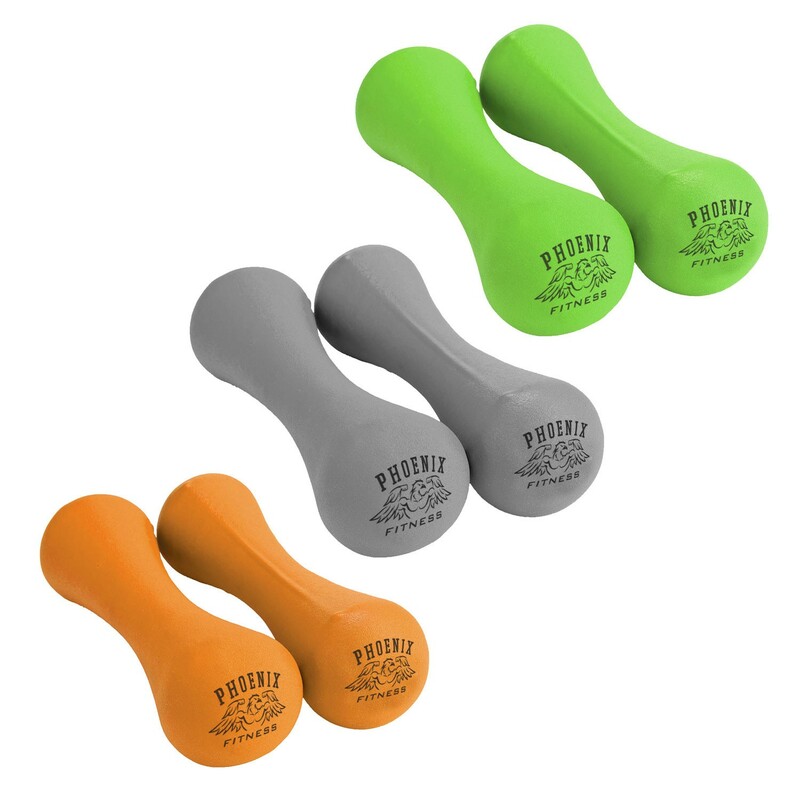 You literally just need water and a shaker. There are also loads of people who are on a low income jobs and they struggle throughout the year to pay their bills and rent and food. Well, Huel can help with this too. Then other reasons for people using Huel is travelling. People go on expeditions across mountains, across countries and people are sent to remote destinations to work or research and have to wait weeks for food to arrive. People who travel or work on boats..... goodness I could go on with a very long list... So although it's not food food, it really could benefit a lot of people. The easiest way, is to follow the instructions - 400 mls cold water and 3 scoops of Huel. I've this a couple of times, but I felt it was too much for me and my tiny frame, so 1 scoop is plenty for me. Taste wise, it definitely needs sweetening up and it reminded me of oat milk. They do recommend that you add something with a high flavour like coffee for example. My husband has been drinking his Huel with a lot of coffee to hide any taste that he's not keen on, and it says that actually makes it very enjoyable. He also prefers milk with Huel, as do I. However, when you add it to milk, you need less Huel as it can get very thick. Or even half and half which is generally how I've been drinking it. Other ways that I've been drinking it, is to mix my protein shake mix to it (purely for flavours) you can add naughty milkshake flavours to it, and you can also add fresh fruit blended up and adding healthy alternatives like Cocao Powder makes a great chocolate milkshake. This is a raspberry blended shake with a handful of raspberries with a scoop of Huel and 200ml approx of milk. I've tried Huel with different fruits, like bananas, blueberries and strawberries, either individually or all mixed together. I do prefer Huel blended than shaken, as it makes it smoother to drink. You can also add it to your normal foods to help bulk it up even more. However, I do have to say that they don't recommend always eating it cooked as it can ruin the nutritional values, but as I've been testing it out, I've had to try different ways to consume it. I haven't used it to make cakes or bread or cookies as yet, but I'm sure that time will come too. I have many ideas of where to hide it. Half a scoop added to porridge makes it really thick, and really filling. But if you have a sweet tooth like me, adding fruit or honey brings that sweetness back. Chocolate Pancakes is really simple too. That's it !! Blend it up and you will get two good sized pancakes from it. I drizzled mine with honey to give that alternative natural sweetener. They cook really easily, and because its a thick batter, you can shape it in the pan. So, have I enjoyed it ? Personally, the taste on its own is not really for me, but I have added many different flavours to it to help improve the taste so I can enjoy it. I don't drink coffee so I couldn't use that strong flavour to mask the taste. The best way to describe the taste is......a cardboardy flour. I know that's not a good thing, but, flour on its own doesn't taste nice either, which is why we use it in foods to make everything taste better or to thicken something up. 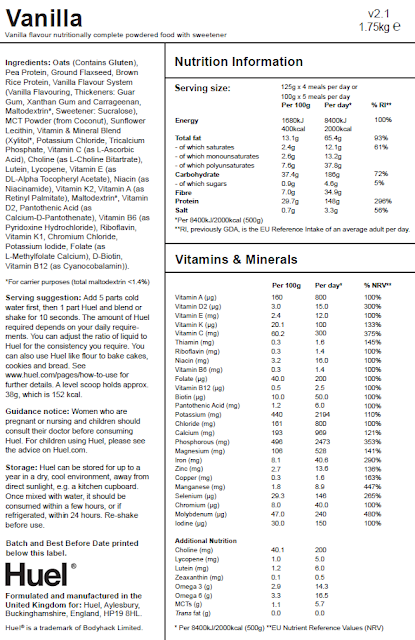 So if you see Huel in a similar way, its easy to use and you'll know what to add to make it suitable for you. I have enjoyed sweetening it up, as unfortunately, I am stuck with a sweet tooth and shakes to me, need to be sweet. 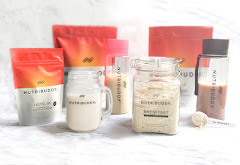 Huel do actually sell flavours to go along side it which you can buy direct from them, or just use a flavoured milkshake mix from the shops. This is certainly a food that should be considered more. It is THE MOST FILLING DRINK I have EVER tasted. One shake, will keep you satisfied for hours, you actually get to a point where you don't even think about food as your body isn't craving anything. It also gives you plenty of energy. I've had a Huel shake for breakfast and then been ski-ing for a couple of hours and not eaten again until late lunch time. So, if you need to save money you can use Huel, if you are trying to loose weight, you can use Huel, if you don't have access to a kitchen you can use Huel, if you don't like eating foods then you can use Huel. If you are one of these people, Huel is worth a try for its ease, nutritional benefits and for convenience. 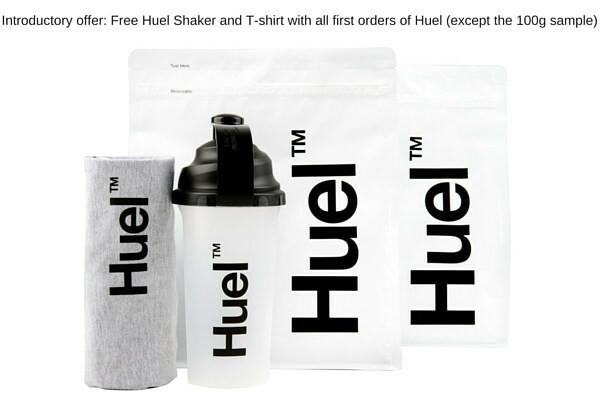 Buy your Huel direct from their website and if you subscribe, you can save even more money.